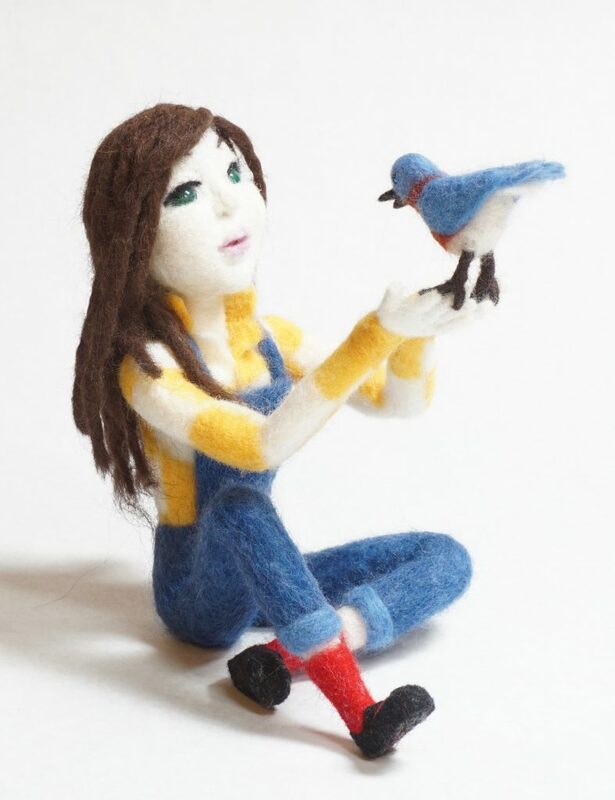 Any regular reader here might predict that my newest works are created utilizing needle felting techniques. 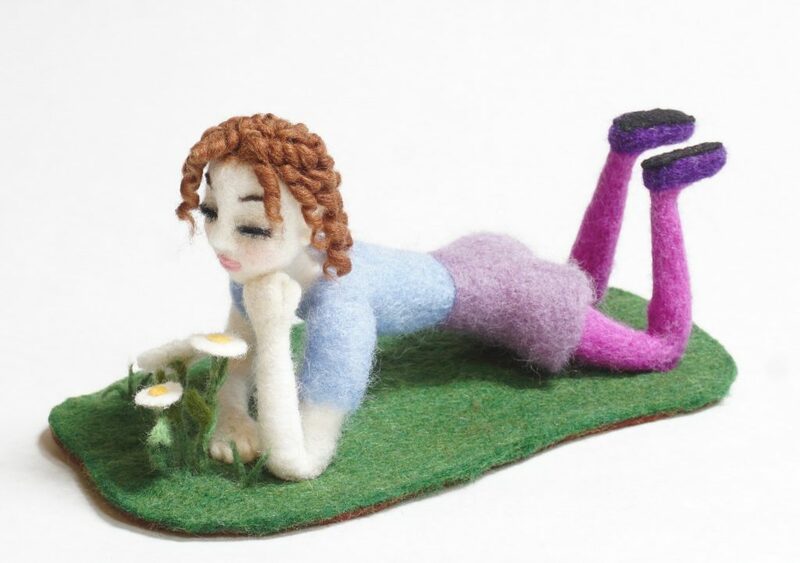 My most recent felted wool creations will be featured at the Hillsborough Gallery of Arts starting this coming Monday, April 22nd. “April Showers, Art Flowers” is the title of my upcoming feature show with painter Chris Graebner, and glass artist Susan Hope. As you can see, I took a a departure from the almost monochromatic look of many of my paper and book based art dolls. I embraced the vibrant color available in wool roving fiber. The wool allows me to use the same materials for the sculpting, costuming and wigging of the figures. I have a few surprises for this year’s show, but I’ll save those for next week’s post after the show is installed. For now, here are a couple of other figure pieces heading to HGA on Monday. 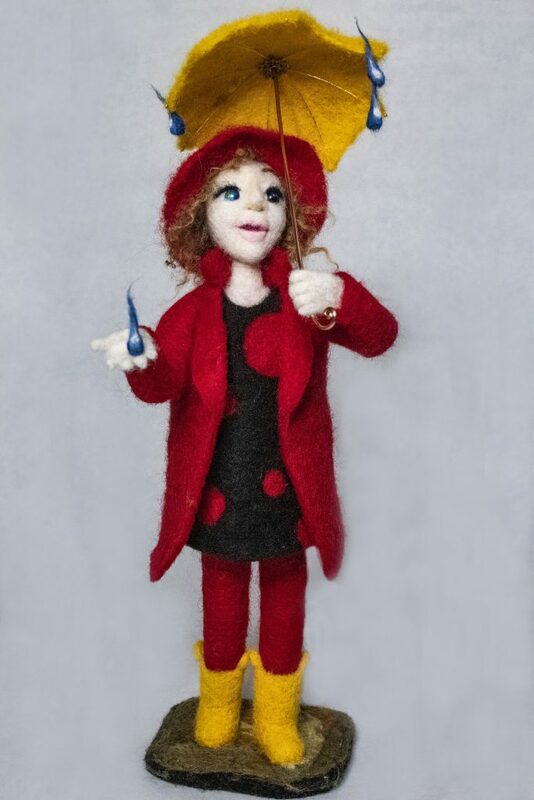 This entry was posted in Uncategorized and tagged art doll, Art show, figure sculpture, needle felting, sculpture, the Hillsborough Gallery of Arts on April 17, 2019 by lynnadmin.